A change in circumstances in the middle of the divorce process can have a significant impact on the case. Newly discovered property, a change of income and assets, and a change in the relationship with minor children are perhaps the more common developments. Recognizing the need to accommodate for a change in circumstances, California allows divorcing parties to amend their paperwork before the marriage is terminated. Doing so is usually a straightforward process, but there are some important considerations to keep in mind before filing the amended paperwork. 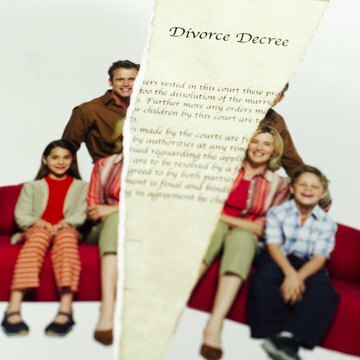 The document that initiates a divorce is called a petition in California. The party who files the petition is called the petitioner. A petitioner has the right to amend the divorce petition one time without asking the court for permission to do so. To amend the petition, the petitioner must use the same petition forms that were initially used to file for divorce. The petitioner must check the “AMENDED” box located within the caption of the first page of the divorce petition. If the party to whom the petition was filed against decides to file his own set of paperwork, that paperwork is called a response; the responding party is referred to as the respondent. As with the petition, the respondent can amend the response one time without asking the court for permission to do so. Also similar to the petition is the “AMENDED” box that appears within the caption at the top of the first page of the response. The respondent must check this box to inform the court that this subsequent response amends information contained within the original response. Because the amended document contains information in addition to, or different from, the original filing, the other party to the divorce is not bound by the amended document unless the amending party serves the amended paperwork on the other spouse. If the petition is amended, the respondent has 30 days from the date of service to file an amended response. If the original petition was served on the respondent, the petitioner does not have to serve a summons with the amended petition. The respondent never uses a summons since the petitioner has already agreed to the court’s jurisdiction. Courts are interested in moving cases through the system efficiently. To prevent an endless number of amended documents, California requires a party who wants to make subsequent amendments to obtain the permission of the court first. The authority to grant or deny a request to amend lies with the discretion of the court, but courts are generally willing to allow an amendment if the party asking for permission can provide the judge with a good reason for the request. What constitutes a good reason depends on the facts and circumstances of the case. Before asking the court for permission, the party who intends to amend his or her paperwork must notify the other party of the intent to amend. This allows the court to hear arguments from the other party as to why the court should not grant permission to amend.